BEIJING: China on Thursday rejected a media report that it plans to fund the construction of an anti-terror base in Afghanistan. 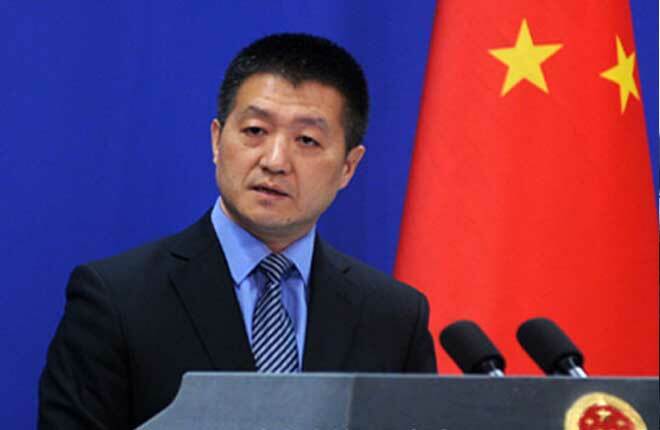 “I have not heard what you said,” Chinese Foreign Ministry’s spokesperson Lu Kang told a reporter while replying to a question in this regard during his regular press briefing. He said that China has always supported international anti-terrorism cooperation on the basis of mutual respect. To a question about an Indian investment in the exclusive economic zone of oil and gas field in South China Sea of Vietnam and the visit of an Indian Navy warship to a Vietnamese port, he commented that the Chinese side had no disagreement on the development of the neighbouring countries. “However, China firmly opposes the opportunity taken by the parties concerned to infringe upon the legitimate rights and interests of China in the South China Sea and undermine peace and stability in the region,” he added. On the United States’ willingness to engage in dialogue with North Korea, he said that there was some sign of positive interaction between North Korea and the South Korean peninsula which was receiving the great attention of the international community. The spokesperson said that the Chinese side had said many times that the United States and North Korea were the direct parties to the nuclear issue on the peninsula. “Like the international community, we hope that the United States and North Korea will take the opposite direction and take meaningful steps towards dialogue and engagement,” he added. He also said that China would continue to make its own efforts to push the peninsula nuclear issue back to the track of dialogue and consultation as well as settlement.